Clutch released their first LP, Transnational Speedway League, in 1993. Since then the band has made many albums full of hard rock, heavy metal, blues, funk and punk, touring the world playing honest, high-octane music when they aren't hanging out back at home in Germantown, Maryland. Tim Sult has been lead guitarist for Clutch since the beginning. There are many other genres of music out there for people to enjoy, including electronica, EBM, hip-hop and countless others. After so many years, why do fans around the planet still enjoy traditional rock and roll? 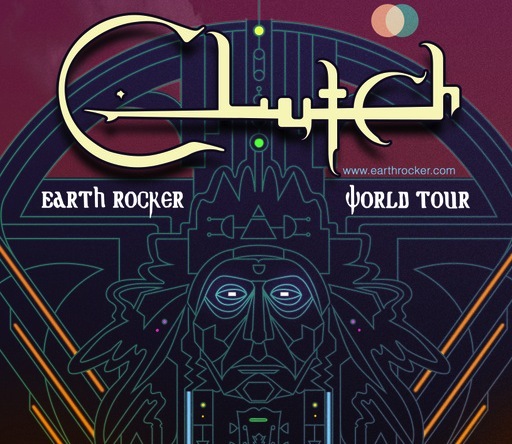 On December 21st Clutch will headline the KBPI “When Hell Freezes Over” radio show in Denver, Colorado at the Fillmore Auditorium. The concert will give the band an opportunity to show off a few of the new songs from their latest album, Earth Rocker. 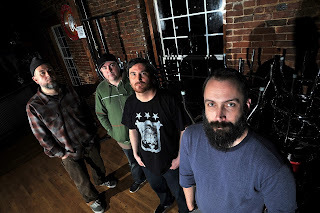 Why did Clutch finally put together another LP? “We all felt like it had been too long. We had spent a lot of time compiling ideas for songs without recording any.” If you want premium quality, you have to wait for it. “Our motivation was to write the best record we possibly could.” They all spent long days in the studio until “…the songs came out heavier and faster than anything we’ve done before,” according to Sult, so veteran fans won’t have to worry if they think they’re favorite band has gone soft with experience.